Description: THREE DAYS OF GAMING FUN! 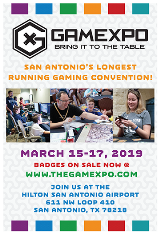 GAMEXPO is San Antonioâ€™s premier gaming convention. GAMEXPO will be providing San Antonio with all forms of gaming such as roleplaying, board games, card games, miniatures and video games. 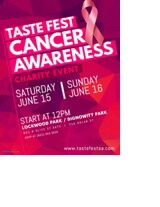 Description: Celebration of flavors, cuisines, and cultures during 5th annual Seven Seas Food Festival every Friday, Saturday, Sunday & Memorial Day. Description: Nights glow brighter at SeaWorld this summer with vibrant animal shows and attractions. Cap it all off with a dazzling display of fireworks. There is no better place to celebrate America's independence than the Thrill Capital of South Texas.. Location: 17000 IH-10 West, San Antonio, TX 78257. Description: Inspired by more than 200 years of Oktoberfest traditions, Bier Fest will feature a lineup of beers from around the globe, including a variety of local favorites. Description: Howl-O-Scream has transformed the peaceful park you once knew into something sinister this Halloween. Nightfall has awakened hundreds of creatures roaming scare zones and lurking the halls of haunted houses. Description: SeaWorld San Antonio is decking out the halls for its annual Christmas Celebration, an extraordinary holiday event. This wintery, watery wonderland features Christmas shows, holiday lights, festive foods, Santa Claus and more!